My WOW week post WOW 2014! 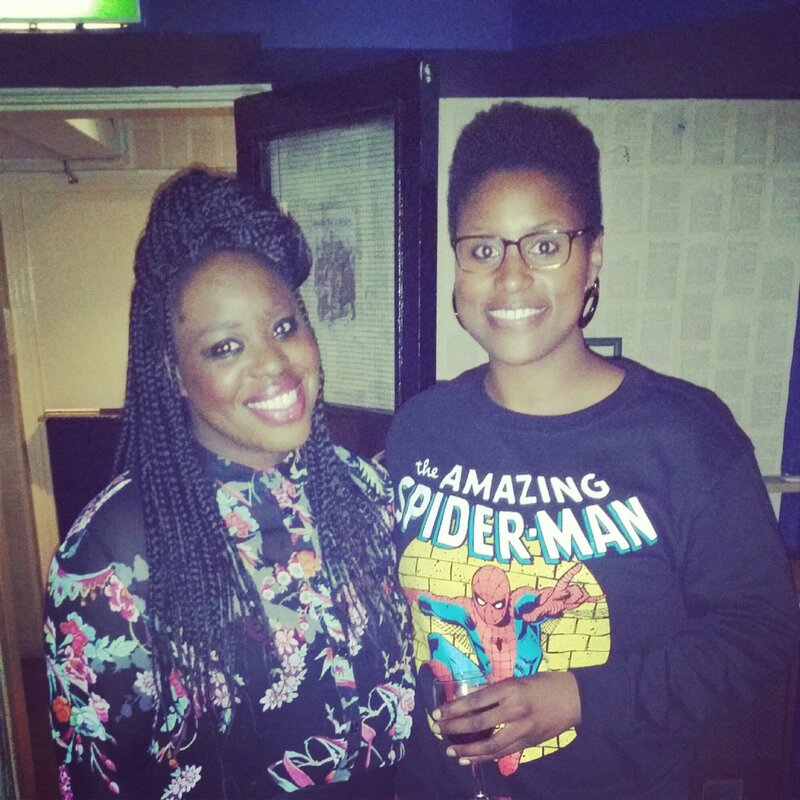 London salutes Black Women at the top of their game (…oh and Lenny Henry OBE gets a look in too)! I hope that you have had a good week and that you have been enjoying the sunnier days! Spring is certainly on the way! 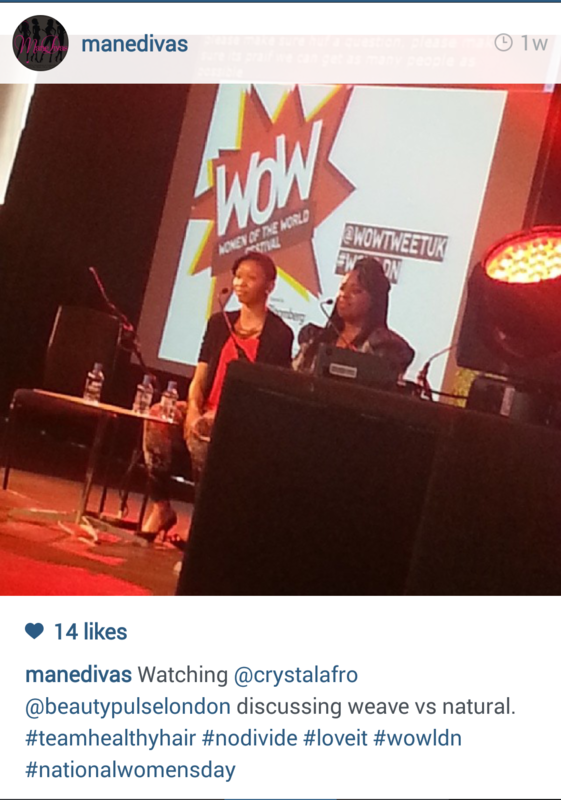 It is just over a week since my appearance at the 2014 Woman of the World Festival. Firstly, I want to say a massive thank you to all who came out to support the session! It was great to see so many of you there! Thanks for your tweets, Instagram posts and blog posts which @mentioned me or featured the session! I am grateful to you all for sharing in the experience and spreading the word! It was a whirlwind of a day and here is my mini review! I was fortunate enough to have secured a ticket for the Malala Yousafzai presentation – which set the tone for the day. Articulate, erudite and wise beyond her years, Malala held her audience enraptured as she emphatically expressed her commitment to equality, education for all, justice and giving a voice to those who usually go unheard. My favourite quote from her speech is below – life is all about taking a stand! You can watch the full speech and the subsequent Q&A session here. After my debate I hot footed it over to Emma’s Dabiri’s debate and workshop discussing the topic of ‘Being Mixed Race’. Emma is a writer and commentator and a PhD Researcher at the Sociology Department at Goldsmiths. The panel consisted of four beautiful women – who each gave a short account of their experience of growing up in Britain as a child of a mixed heritage background. All of the stories were very moving and the workshops that followed were insightful, poignant and enlightening. What I loved most about this session was that all women could give a voice to their own experiences – from white mothers who found it challenging connecting with their brown baby to black women concerned about meeting their white partner’s family for the first time, it was a time for sharing and the hour and a half flew by! Click here to read a summary of Malala’s talk, the Politics of Afro Hair debate and the ‘Being Mixed Race’ debate by Complexd Woman magazine. 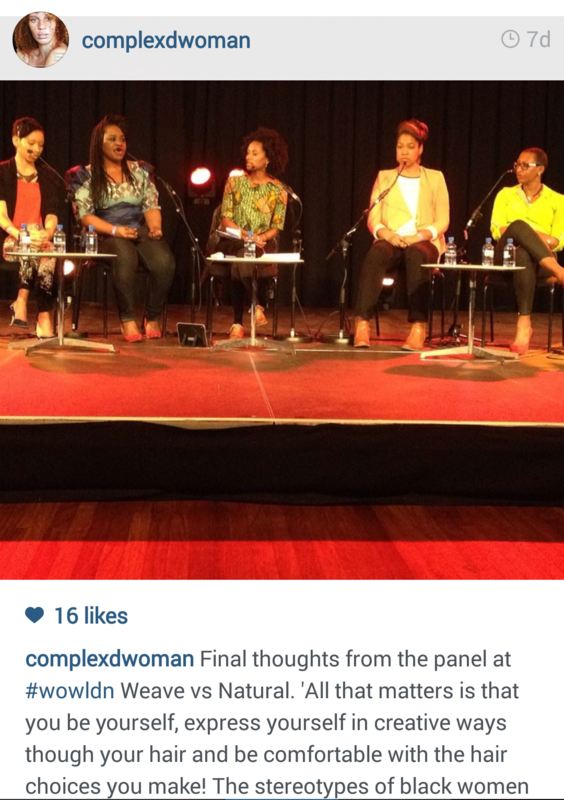 Lastly, I attended the debate discussing ‘White Privilege and Feminism‘. The panel of four speakers, which included Black feminist Reni Eddo-Lodge recounted their own experiences of battling to get their message through to a privileged few who dominate the feminist rhetoric, thus focusing on issues that primary concern them. Now, don’t get me wrong, I have nothing against white, middle class women personally, they are my friends, my colleagues, my peers…heck I listen to Radio 4…how much more ‘middle English’ can one get! However, I am convinced that the plight of the woman of colour (even middle class ones!!) and her representation in society will never change unless constructive conversations are had.…thus I was somewhat disappointed with this session, as I felt the very persons the session was highlighting was not available to be challenged. I wanted to pose a question to the ‘white, privileged woman’ in order to understand her viewpoints and instigate the very conversations I mentioned above. This conversation is of benefit for all of society. All in all though, I had a wonderful time at #WOWLDN 2014 and I am very much looking forward to next year’s festival! 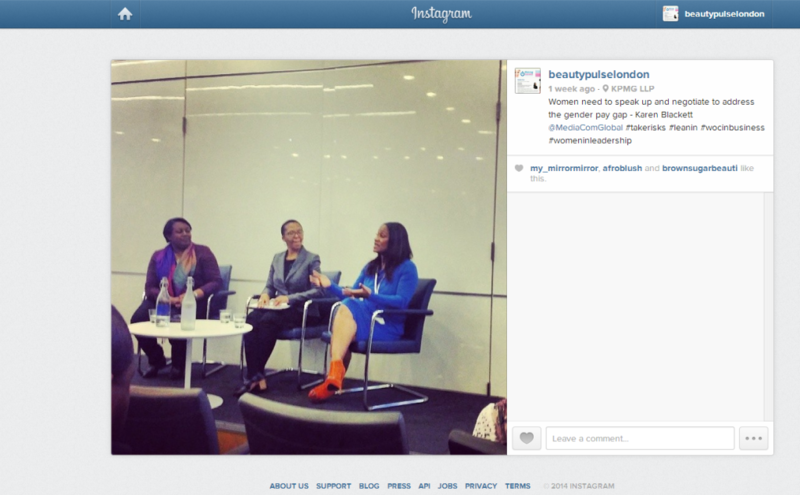 On the Tuesday following WOW 2014, I attended a networking event hosted by KPMG’s African and Caribbean Network (ACN). The event was part of the ‘Leaders That Inspire’ series and was a collaboration with with KPMG’s Network of Women’s (“KNOW”) International Women’s day focus on inspirational women within the business community. The key note speakers were children’s author and Malorie Blackman OBE and Karen Blackett, CEO of MediaCom UK, the nation’s largest media agency. I was beyond excited to hear from these two prominent Black women who are leaders in their fields. I was especially looking forward to hearing from Karen, as I had started to follow her after reading an article about her in 2012 where she does not shy away from talking about her experience as a Black woman at the top. 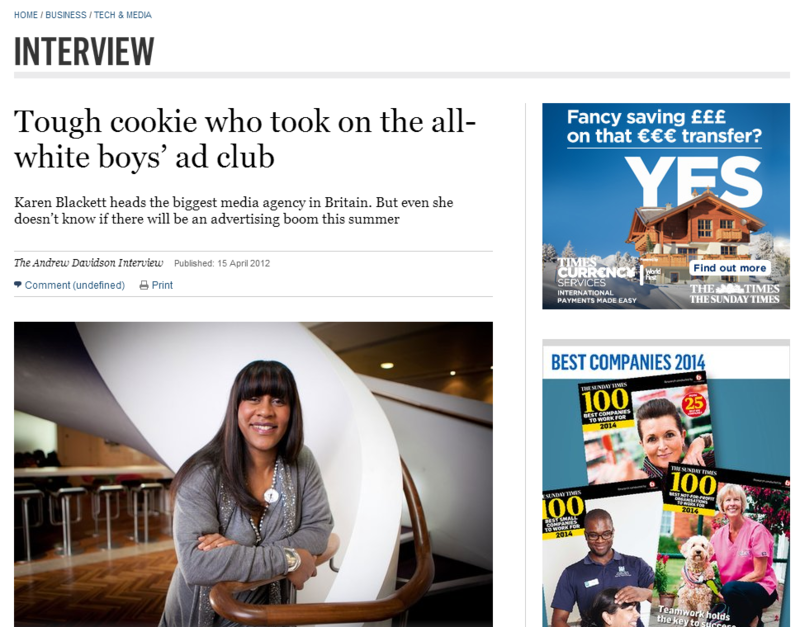 Being one of the few Black women holding a senior position in the advertising sector she regularly speaks out about a) being a Black woman in the advertising sector…. 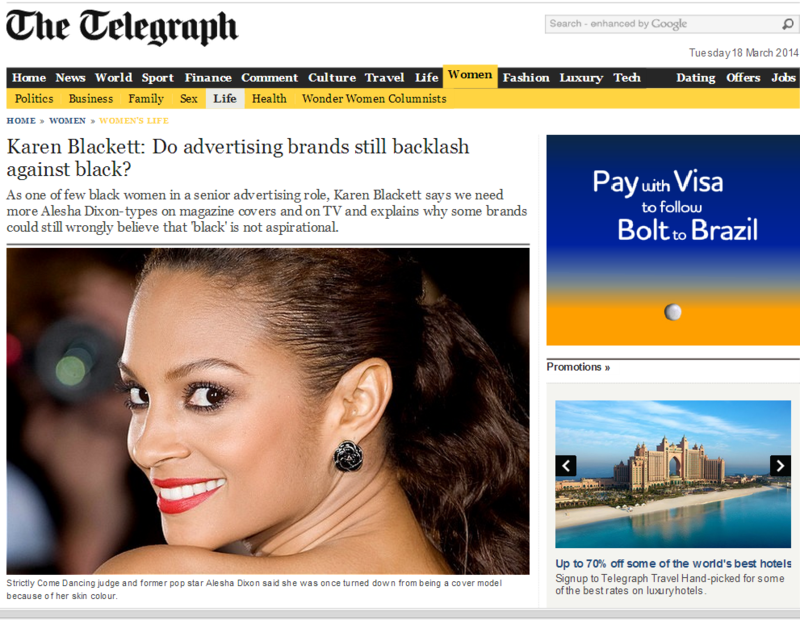 and b) the representation of people of colour in the adverts that we see. Both Malorie and Karen commented on the dearth of representation of people of colour in their respective industries and stated that the onus was on leaders and people of influence to role model and showcase the opportunities that exist within their sectors (Malorie runs creative writing workshops in schools across the country and Karen has just established a government accredited apprenticeship scheme). I asked about their opinion on ‘positive discrimination’ (or affirmative action/quota systems – methods of increasing diversity which I DO NOT happen to agree with) and they did not feel that this was the best way to redress the balance. Karen stated that widening access and ensuring that as many people from as many backgrounds have the opportunity to enter the advertising sector was the key to lasting and credible change. Many other topics were discussed, ranging from motivation, working for one’s self, overcoming setbacks (Malorie received 82 rejection letters before her first novel was accepted!) and the gender pay gap. Karen stated emphatically that women need to negotiate hard and know their worth. I certainly say here here to that! 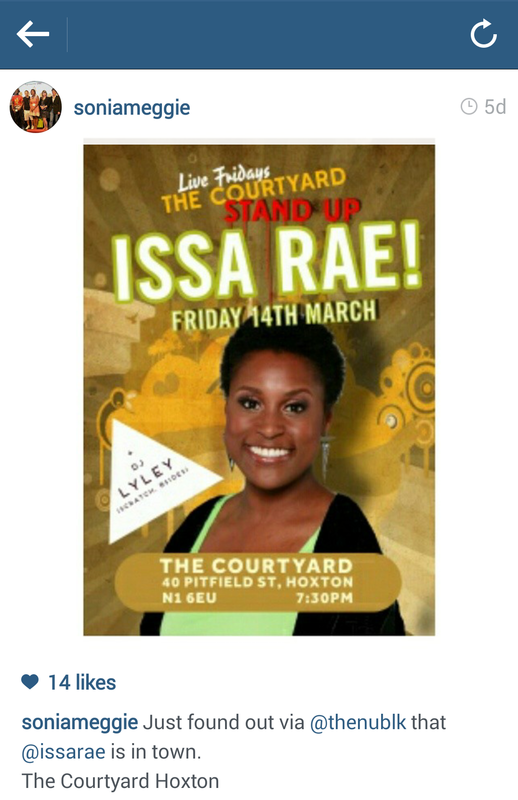 Issa Rae in London Town!!! I was SO excited.. gassed, as the kids say!! 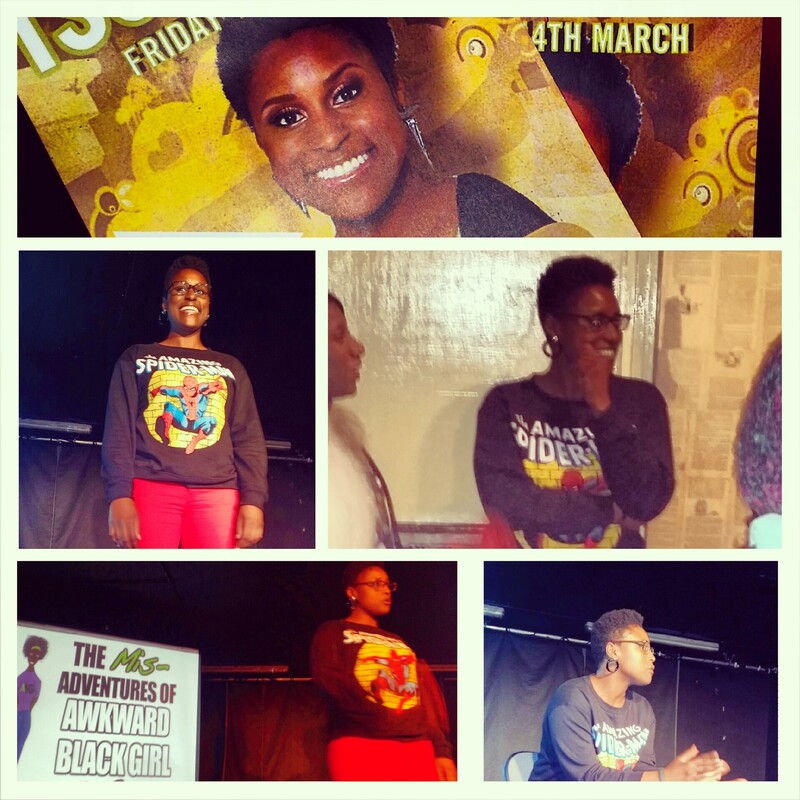 I love Issa’s work (if you haven’t watched her web series ‘Awkward Black Girl, the body of work that capitulated her into limelight, check it out…and prepare to laugh A LOT!) and her mission to see a more balanced representation of Black women on American TV. Issa was brought to London by the US Embassy (how cool is that!) and she spent a couple of days visiting schools across the capital, to inspire and motivate the young women she met and she concluded her whistle stop tour with the above event. It has to be said that if it wasn’t for the power, immediacy and reactivity of social media many of us who attended the event would have missed it..for whatever reason, the promotion of the event was extremely poor…but social media saved the day! As I stated, Issa is dedicated to redressing the balance of women of colour on American TV and I believe that it is NO COINCIDENCE that this cause is being championed right here in the UK – right now! Last night I came across the Twitter hashtag #AskLenny as I scrolled down my feed. It transpired that it was connected to a lecture that Lenny Henry OBE gave the previous day to BAFTA members and leaders within the TV sector tackling the issue of the lack of BAME (Black and Minority Ethnic) representation in front of AND behind the camera. Henry has taken up this cause with gusto since his comments about how ‘white’ last years BAFTA Television Awards (an issue I also vocalised my disgust at). Since then, Lenny has led valiantly to bring the issue back to the table, to instigate the debate and put forward a credible, workable proposal to redress the balance. Henry is the ideal person to lead the charge, his 30 plus year TV career has garnered him respect amongst his peers yet his candid addressing of the experience of BAME persons within the sector – be they Idris Elba or the Black middle manager at the BBC who cannot break through to the next level in their career. (I was thoroughly disappointed with Oona King’s management of the Q&A section of the lecture…I feel that it was a wasted opportunity to drill down deeper into this critical issue…but I digress…). I am really excited as there does seem to be a confluence of people and organisations who are tackling the core issue – representation and equal opportunities – and together we can and will affect change.